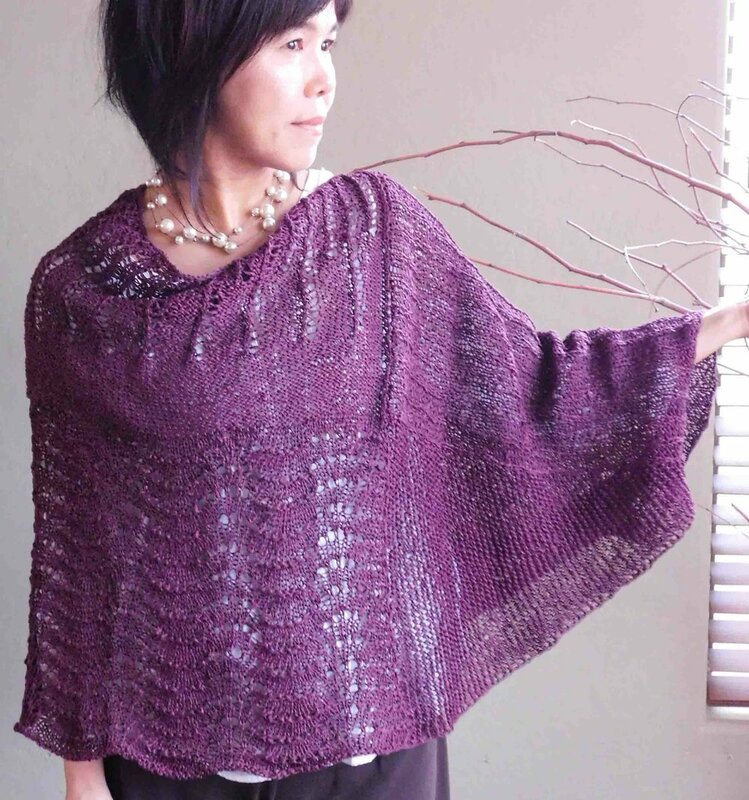 This poncho-like top is a simple shape (two rectangles and one trapezoid), with different stitch patterns for each section.The construction is simple. Make one square shape with two rectangular sections that have different stitch patterns. Then work another section from the edge of the rectangle shape. Working the trapezoid is easy, using only knit and purl sts with decrease to create the shaping and complete the garment. - This top is a knitting version of crochet pattern ”Sands and Shells” in my book ”Rustic Modern Crochet”.